Mark your calendars now for the 2019 Leadership Institute in Indianapolis! Join DU in the home city of our International Headquarters for a weekend of brotherhood, celebration and education. Undergraduate chapters/colonies receive two complimentary registrations to the Leadership Institute. If you have been selected by your chapter to receive one of these registrations, please select that on the registration form. Priority registration ends June 15, 2019. After this date, registration increases by $50. Partial registrations are available for alumni. Leadership Institute is Delta Upsilon’s annual Fraternity convention and the highlight of our educational calendar. LI not only the largest gathering of our brothers, it is where official business of the Fraternity is conducted. At LI, undergraduate and alumni members both participate a program that includes legislative meetings, province meetings, a Fraternity update and educational sessions. Each undergraduate chapter is asked to send a minimum of two members, though eight attendees is encouraged. The Leadership Institute provides an opportunity to celebrate the accomplishments of our brotherhood, while targeting educational content to meet the contemporary challenges of students and alumni. 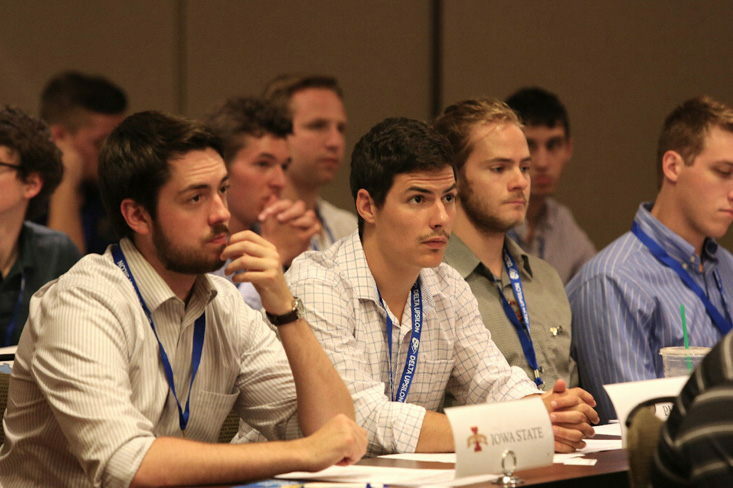 Educational breakout sessions are organized around several themes, including the history of Delta Upsilon, health and wellness, chapter operations, personal growth, and career development. Looking for information about past Leadership Institutes? Here are some helpful links. Recent assessment data statistically shows that Leadership Institute has a significant impact on participants. Undergraduate brothers walk away with more pride for Delta Upsilon and a better understanding of what it means to be a DU.